The breathability of mixing materials is one of the most important factors to affect sintering mineral production qty. 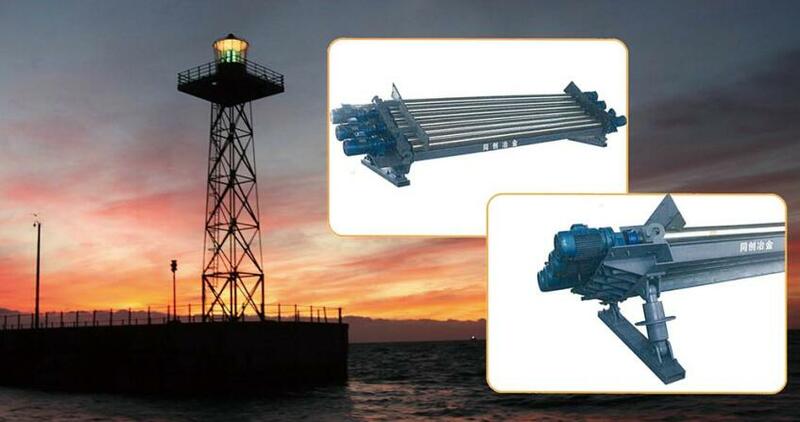 Tongchuang roller type distributing device can effectively distribute mixing materials positive distributing; up and down enlarge gradually, solid fuel distribute in reverse direction. It effectively improves the mixing materials breathability to realize even sinstering to reduce energy consumption. 2. Between rollers, combined nuts locking, each roller space can be freely adjusted, easy to replace roller in a few minutes. 3. It adopts stainless steel thick pipes. Inner pipe is added to strengthen roller. Through changing positions between rollers, the roller service life is longer than traditional machine, which reduces the latter maintenance costs. 4. Its tilting segregation degree can be adjusted during non-stop working. 7. Central line is in a specific curved surface rather than in a flat surface in traditional machine. Through analysis of data, the segregation performance can be highly enhanced.